Five years ago today, the Vikings added what they presumed would be their new starting linebacker. Unfortunately, the veteran’s injury woes continued during his brief tenure in Minnesota. On June 27th, 2013, the Vikings signed linebacker Desmond Bishop to a one-year contract. The 2007 sixth-round pick out of California had spent his entire career with the division-rival Packers, and he proved to be a revelation in Green Bay. After serving as mostly a backup during his first three seasons in the league, Bishop had a breakout campaign in 2010, finishing with 99 tackles (which was more than his previous three seasons combined). He also had a fumble recovery in his team’s Super Bowl XLV win over the Steelers. His breakout campaign earned him a four-year, $19MM extension, and Bishop followed that up with an even better season in 2011. He ultimately established career-highs with 115 tackles, five sacks, and two forced fumbles. Unfortunately, Bishop suffered a significant hamstring injury during the 2012 preseason, forcing him to miss the entire campaign. He ended up being released by the team prior to training camp in 2013. After having visited the Chiefs and Vikings, Bishop ultimately decided to join Minnesota. While he was projected to slide into the team’s starting lineup, he lost the gig early on during the 2013 season. Then, in mid-October, the linebacker tore his ACL, ending his season. During his one year in Minnesota, Bishop compiled only five tackles in four games (one start). He’d later have brief stints with the Cardinals, 49ers, and Redskins. Following a 2012 campaign that saw them go 10-6, the Vikings were probably hoping that Bishop would provide them with a veteran presence on defense (they even released former fourth-rounder Stanford Keglar to make the necessary roster space). Fortunately for Minnesota, they didn’t lock themselves into a long-term deal with the linebacker. The Patriots released cornerback Rashaan Melvin and linebacker James Vaughters, according to Christopher Price of WEEI (on Twitter). The Seahawks have signed quarterback Jake Heaps, as ESPN.com’s Sheil Kapadia writes. The signing of the 25-year-old now gives Seattle three QBs on the roster. The Browns released linebacker Scott Solomon, as Adam Caplan of ESPN.com tweets. Solomon was a restricted free agent this offseason, one that Cleveland re-signed less than a month ago. Solomon was slated to earn $1.671MM in 2016. The Lions announced the signing of linebacker Zaviar Gooden. Gooden joins the Lions after spending the 2013-14 seasons with Tennessee, where he appeared in 24 games (three starts). The Eagles (on Twitter) announced the release of safety Jerome Couplin. Ditto for wide receiver Freddie Martino (link). Washington announced that defensive linemen Christo Bilukidi, Anthony Johnson, and Kamal Johnson, linebackers Desmond Bishop and Derrick Mathews, wide receiver LaRon Byrd, and cornerback Al Louis-Jean have all been released. The Broncos cut safety Ryan Murphy and punter Will Johnson, according to Aaron Wilson of The Houston Chronicle (on Twitter). Murphy has the unfortunate distinction of having been sent home from the Super Bowl. The Bears cut defensive tackle D’Anthony Smith, Wilson tweets. The Cardinals cut cornerback Kevin White and center Valerian Ume-Ezeoke, Wilson tweets. The 49ers have reduced their roster count to 75 players in advance of tomorrow’s deadline, announcing a series of transactions today in a press release. The club placed offensive lineman Daniel Kilgore on the reserve/PUP list and receiver DeAndre Smelter on the reserve/NFI list, meaning both players will be sidelined for at least six weeks. Additionally, wideout Dres Anderson and linebacker Desmond Bishop were placed on injured reserve, which will end their respective seasons, barring an eventual injury settlement. Looking to add some depth to their linebacker corps, the 49ers have agreed to terms on a one-year deal with Desmond Bishop, reports Matt Barrows of the Sacramento Bee (via Twitter). Bishop, a Bay Area native, will return to the team after signing with San Francisco last December. Bishop, 30, spent the first six years of his NFL career in Green Bay, emerging as one of the team’s starting linebackers in 2010 and 2011. The former sixth-round pick racked up more than 100 tackles in each of those seasons, totaling eight sacks, 10 passes defended, and four forced fumbles in those two combined years. However, injuries have since derailed his career. 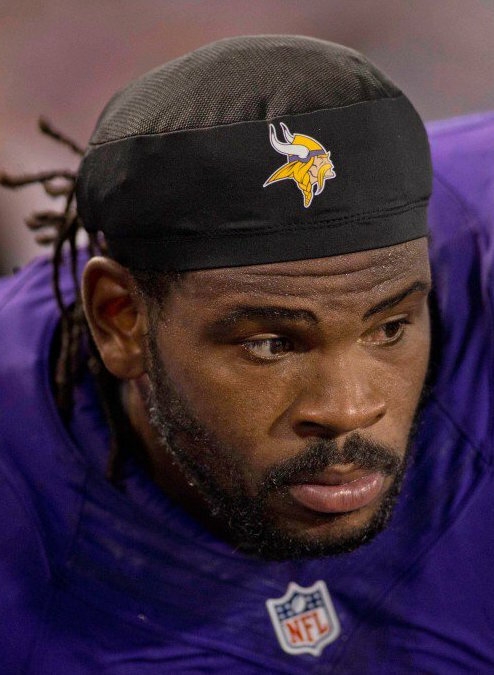 Bishop suffered a ruptured hamstring in 2012 while with the Vikings, and in 2013, his season was cut short after four games thanks to an ACL tear. In 2014, Bishop signed with the Cardinals but didn’t see much action in Arizona. After he was released by the Cards for a second time, he caught on with the Niners in December and appeared in two games for San Francisco, logging a pair of tackles. Another year removed from his season-ending injuries in 2012 and 2013, Bishop could be poised to play a little more for the Niners in 2015. The veteran shouldn’t be penciled in for a major role, but the club will need some help at the inside linebacker spot after having both Patrick Willis and Chris Borland announce their retirement from the NFL this offseason. Free agency’s impact portion’s conclusion opens the door to early examinations of a star-studded — as of now, before new contracts are signed and franchise tags are applied — 2016 class. USA Today looks at a contingent that includes Eli Manning, Dez Bryant, Von Miller, A.J. Green and Marcell Dareus, among many other top-caliber performers. The crop is high on pass-catchers and pass-rushers. Demaryius Thomas, particularly if the Broncos cannot get a deal done for Miller this offseason, becomes an interesting name, with Julio Jones and T.Y. Hilton joining Bryant and Green as No. 1 receiving options. Of the aforementioned wideouts, Thomas, who could be franchised for a second straight season, probably has the best chance of reaching the market, with Peyton Manning‘s waning career tied inextricably to his. Aldon Smith, Justin Houston and Jason Pierre-Paul headline the edge-pursing group, with the disgruntled Houston likely facing a lengthy staredown with the Chiefs and Smith’s off-field issues potentially holding up his future with the 49ers. With Russell Wilson‘s mega-contract forthcoming with the Seahawks, middle linebacker Bobby Wagner could become an intriguing name in next year’s class. Former Packers longtime second-level cog Desmond Bishop will visit the 49ers on Monday, reports Matt Maiocco of CSNBayArea.com on Twitter. Reeling from retirements and injuries, the 49ers, who signed the 30-year-old San Francisco native in December after now-retired Chris Borland suffered a season-ending malady, have a need at the position. Bishop’s played both middle and outside linebacker in his eight-year career. The 49ers are also bringing in Lance Briggs for a visit Monday, as we noted earlier. The Browns are facing a future that may not include Alex Mack after the 2015 season, with the transition-tagged center having an opt-out clause in the contract he signed with the Jaguars before the Browns matched it last spring. Cleveland is likely to select a center or an interior lineman with versatility high in the draft, writes ESPNCleveland’s Tony Grossi. The All-Pro center cannot be traded in an NBA-style expiring-contract scenario since a no-trade clause resides in Mack’s contract to prevent such a move. Johnny Manziel and Connor Shaw are going to be the Browns‘ quarterback options this season, Grossi said, with the focus of adding a franchise-caliber signal-caller on the agenda for next offseason. Although the Browns may add a lower-tier prospect in the draft, Grossi noted the team won’t target Sam Bradford in a last-minute trade centered on the No. 19 pick they attempted to send to the Rams for him, instead preferring to use the two first-round picks as supplementary pieces. Miami (Ohio) University cornerback Quinten Rollins will visit the Browns, Cowboys, Lions and Panthers, Yahoo Sports’ Rand Getlin notes on Twitter. The 2014 MAC defensive player of the year (after a seven-interception season) despite playing just one year of college football has visits with 10 teams scheduled. Ryan O’Halloran of the Florida Times-Union took a detailed look at Greg Jennings‘ 2014 film and points out the potential fit for the Jaguars. Jettisoned after two unremarkable Vikings years, the 31-year-old Jennings would be an upgrade in Jacksonville, which houses Allen Hurns and Marqise Lee — two of Pro Football Focus’ least-favorite receivers; subscription required — and a talented but coming-off-injury Allen Robinson as its top-3 targets. In a chat with readers, Dallas Morning News reporter Rainer Sabin does not expect the Cowboys to draft a quarterback this year and believes the team will replenish its lacking defense with the No. 27 overall pick, unless they feel the need to use the valuable slot to replace DeMarco Murray. 11:54am: As expected, Osgood has been placed on IR as the corresponding transaction, tweets Matt Maiocco of CSNBayArea.com. The 49ers have now confirmed both moves. 10:34am: With their depth at inside linebacker thinning out due to injuries, the 49ers have signed a veteran free agent to help fortify the position, adding linebacker Desmond Bishop, according to Matt Barrows of the Sacramento Bee (via Twitter). Bishop, who was cut earlier in the month by the division-rival Cardinals, had tried out for the Niners last week. The Cardinals signed Bishop to a contract back in August, released him prior to Week 1, then circled back around to him in October. The 30-year-old didn’t see much action on the field for Arizona, however, and didn’t record a tackle all season for the club. Bishop spent the first six years of his NFL career in Green Bay, emerging as one of the team’s starting linebackers in 2010 and 2011. The former sixth-round pick racked up more than 100 tackles in each of those seasons, totaling eight sacks, 10 passes defended, and four forced fumbles in those two combined years. However, injuries have since derailed his career. Bishop suffered a ruptured hamstring in 2012 while with the Vikings, and in 2013, his season was cut short after four games thanks to an ACL tear. The 49ers have yet to announce a corresponding move to accommodate the addition of Bishop, but special-teamer Kassim Osgood underwent surgery on his finger today and will miss the rest of the season, according to Rand Getlin of Yahoo! Sports (via Twitter). The team could move Osgood to IR to open up a roster spot. 49ers coach Jim Harbaugh was not a man of many words following his team’s loss to the lowly Raiders on Sunday. After the game, reporters wanted to question the coach’s future with the organization, but Harbaugh made his intentions clear. So, does the coach want to remain with the 49ers next season? The 49ers worked out a pair of players on Monday. Aaron Wilson of the National Football Post writes that the team hosted rugby star Jarryd Hayne, noting that the 26-year-old would likely contribute as a running back. The team also worked out former Cardinals linebacker Desmond Bishop, according to Howard Balzer (via Twitter). The veteran was released by Arizona last week. Based on his play this season, quarterback Colin Kaepernick will not receive a $2MM bonus based on a de-escalator clause in his contract, tweets Ann Killion of the San Francisco Chronicle. The 49ers will have to make a decision by Tuesday on linebacker NaVorro Bowman. As Eric Branch of the San Francisco Chronicle explains, the team has to choose whether to activate the Pro Bowler from the physically unable to perform list. If the team opts to keep him on the list, Bowman will not play a snap this season. Tim Kawakami of the Mercury News explores the uncertain future of the team’s veteran players. The writer says that veteran running back Frank Gore is assuming his days with the organization are coming to an end, and Kawakami agrees with that sentiment. Meanwhile, the writer is skeptical that free agents Michael Crabtree and Mike Iupati will return, and he also questions the future of Vernon Davis, Ahmad Brooks and Justin Smith.